WARSAW – The 2014 Winter Olympics and Paralympics, to be held in the Russian city of Sochi in February and March, could be a resounding success for Russian President Vladimir Putin. But, just as easily, the games’ sporting achievements and Russia’s organizational undertakings could be forgotten, in the event of a security failure. The recent bombings in Volgograd, Dagestan, and Pyatigorsk – the last less than 350 miles east of Sochi – have come as a shock, but not as a surprise, to the Russian public. The North Caucasus region, with several long-standing independence movements, has for many years experienced militant extremist activity. The political gravity of the Olympics, and the fact that the international media’s eye will be fixed on Sochi, provides an opportunity for these militant groups to strike and – literally – hit the headlines. One important player in this dangerous game is Dokka Umarov, the leader of the so-called Caucasus Emirate. This self-styled emir’s main goal is to separate the North Caucasus region from Russia and found a religious state based on sharia law. Since its declaration in 2007, the Caucasus Emirate has claimed responsibility for several terrorist assaults in Russia. These include the blast on the Nevsky Express train in 2009, the attack in the Moscow underground in 2010, and the explosion at Moscow’s Demodedovo airport in 2011. The separatists’ methods are not limited to actions meant to generate considerable international publicity. They also involve the regular targeted assassinations of journalists, local authorities, and law enforcement officers. The situation in the North Caucasus is in fact a long-lasting civil war, one that is now receiving greater media coverage due to the Olympics. Attacks have become more systematic in order to have a greater impact, and are undermining the Putin regime by exposing it to public criticism. In fact, the government is receiving much more of the blame for its lack of preparation, the poor coordination among various law enforcement agencies, and ineffective intelligence, than the extremist groups carrying out attacks. 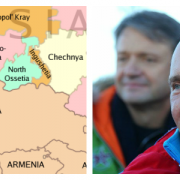 The key objective for Moscow, when it comes to the North Caucasus, is stabilization. The regional republics are governed by local clans, often described as mafias due to their links with organized crime. The Russian government, widely perceived as the only guarantee of security and stability, is under pressure from local elites. Moscow has responded by bestowing financial and political privileges, but these steps have done little to eliminate terrorism. Over the years, the use of both force and economic aid has been largely futile in the North Caucasus, with Chechnya proving the only republic in which the Kremlin’s policy has actually been successful. Ruled with a firm hand by Ramzan Kadyrov, Chechnya has become a virtually terrorism-free zone. But for several reasons, including corruption, a lack of leadership, and inter-clan conflicts, Moscow finds it impossible to replicate the Chechen model in other provinces. On the eve of the Olympic Games, Putin could use, as he has many times in the past, Russia’s internal security threats as an excuse to further consolidate his power. Tightening anti-terrorism practices, coupled with a restriction of civic rights – both of which have already occurred – are the Russian president’s natural responses to such threats. The North Caucasus has for two decades been on a steady, permanent boil. But due to the Olympics, this danger has become more visible. Putin will try to regain the initiative, knowing full well that Sochi’s Olympic Games are a strategic project for Russia and that the city will host the G-8 summit in June. But whatever happens over the next six months, the terrorists of the North Caucasus will do their best to ensure that the world does not forget them. Michał Romanowski is a program coordinator at the German Marshall Fund of the United States (GMF) in Warsaw.